Could this be the hypercar that sells for $10 million? The last Ferrari Laferrari Aperta is headed to the auction block this weekend. That alone should be enough to warrant headlines, but as most of you already know, the auction-bound LaFerrari Aperta is special in its own right. This unit isn’t supposed to exist in the first place. This is the 210th LaFerrari Aperta, a last-second creation by Maranello that isn’t a part of the initial lot of 209 units that the automaker planned to launch but was nonetheless built as an auction piece to benefit the “Save the Children” charity. The auction is set to take place at Ferrari’s Fiorano track and is part of RM Sotheby’s “Legend e Passione” event being held as part of the Italian automaker’s 50th anniversary. Befitting the event on September 9, Ferrari gave the LaFerrari Aperta a unique look no other model of its kind had when they all came out of production. These features firmly establish the 210th model as a legitimate one-of-a-kind LaFerrari Aperta, the kind of car that Ferrari collectors will trip over themselves to get a hold of. It’s no surprise then that neither Ferrari nor RM Sotheby’s has released an estimate for the car. 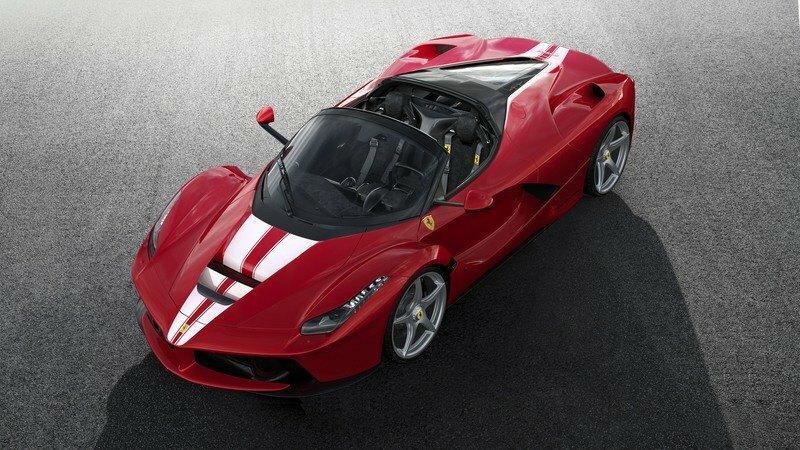 Considering that the 500th LaFerrari – the precursor of the 210th LaFerrari Aperta – fetched $7 million in a similar auction setting last year, the sky really is the limit as to how much the 210th LaFerrari Aperta is going to sell for this weekend. Blasphemy. That’s probably the first thought of any purist considering the creation of an all-electric Ferrari. Blasphemy and sacrilege. FCA head Sergio Marchionne would agree. In 2016, at the Geneva International Auto Show, the CEO remarked that the idea of an all-electric Ferrari was “an almost obscene concept.” Later that year, at the Paris Auto Show, Ferrari’s Chief Technical Officer, Michael Leiters, echoed Marchionne’s sentiment, albeit in slightly softer terms. “We would not follow to develop a fully electric car,” Leiters said, adding, “We are convinced that it’s right to have a hybrid car because, for us, the sound is a very crucially important characteristic of a Ferrari, and our customers want to have this.” Fair enough. Thing is, even a flat-out rejection isn’t enough to stop a possible EV Ferrari. Let me explain. First off, the sound. The howl of internal combustion is as important to the Ferrari brand as red paint, and we get that. This is a company lives and dies by its engines. The thing is Ferrari is already testing the waters – turbocharged models have been around for decades now, and electrification is integral to the performance of the “ultimate” LaFerrari hypercar. What’s more, Sergio Marchionne has already discussed the possibility of entering Formula E. Throw in continued EV development from competitors like Porsche and McLaren, and relevancy starts to become an issue. Finally, there’s that old Enzo Ferrari quote: “Aerodynamics are for people who can’t build engines.” The point is this – never say never. Continue reading to learn more about the all-electric Ferrari LaFerrari Successor. The Ferrari LaFerrari made its first public appearance at the 2013 Geneva Motor Show, taking center stage in spite of massive competition from the McLaren P1 and the Lamborghini Veneno. Not only the fastest road-legal supercar to come out of Maranello, the LaFerrari is also the first Ferrari to carry a hybrid powertrain. Developed as a successor to the almighty Enzo and the F50, the LaFerrari is the first Ferrari not to be designed by Pininfarina since 1973. Built in just 499 units and priced from $1.7 million, the LaFerrari became an instant hit with deep-pocketed enthusiasts, who rushed to pay the hefty sticker and help Ferrari close order books in a matter of months. Although both the standard supercar and the highly exclusive, track-only FXX K are already sold out, the LeFerrari saga continues in 2017 with a convertible version. Rumors about a LaFerrari convertible have been flying around since 2014, when we rendered the model based on the coupe version. Come 2016 and Ferrari CEO Sergio Marchionne finally confirmed that a drop-top model is in the works. 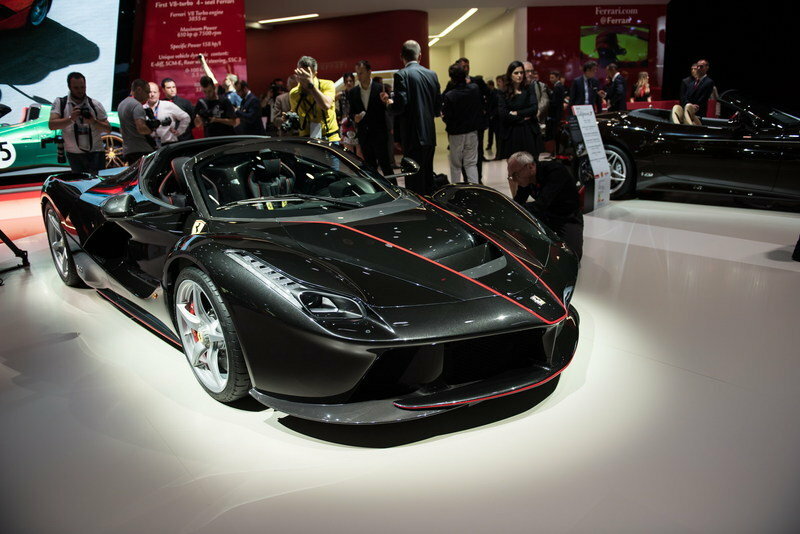 In July 2016, Maranello unleashed the first official photos of the Laferrari Aperta, while the Paris Motor Show hosted to supercar’s public debut. Updated 11/11/2016: Ferrari dropped a very cool promo video for the LaFerrari Aperta with Formula 1 driver, Sebastian Vettel behind the wheel. Continue reading to find out more about the LaFerrari Aperta. Launched as a successor to the Ferrari Enzo, the Ferrari LaFerrari was designed with a language that, according to the design team led by Flavio Manzoni, is the perfect combination of form and function. It combines F1-inspired aerodynamics and plenty of sharp character lines to bring together one of the wildest production cars from Ferrari. On the inside, the LaFerrari got a newly-designed steering wheel that is more square than it is round, and an overall interior design that screams track-only but offers plenty of comfort two. The biggest news is what makes this red rocket go. 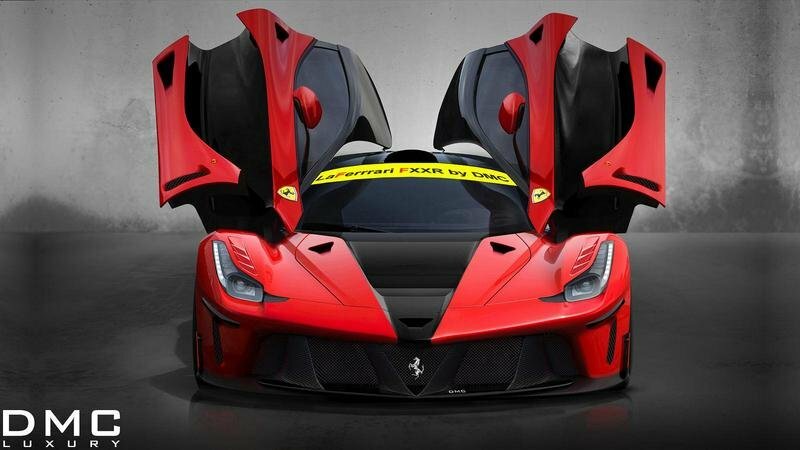 The new LaFerrari is the first car from the brand to use a hybrid drive system. Known as the HY-KERS system, it has a 6.3-liter V-12 and two electric motors. Total output is 963 horsepower (800 from the ICE and 163 from the electric motors) and more than 663 pound-feet of torque. To help keep everything kosher on the road, the suspension system has been designed specifically for the car, and Brembo brakes are in place to bring this puppy to a stop. Ferrari went above and beyond with the LaFerrari, with the exception of the name, but don’t even get me started on that one. 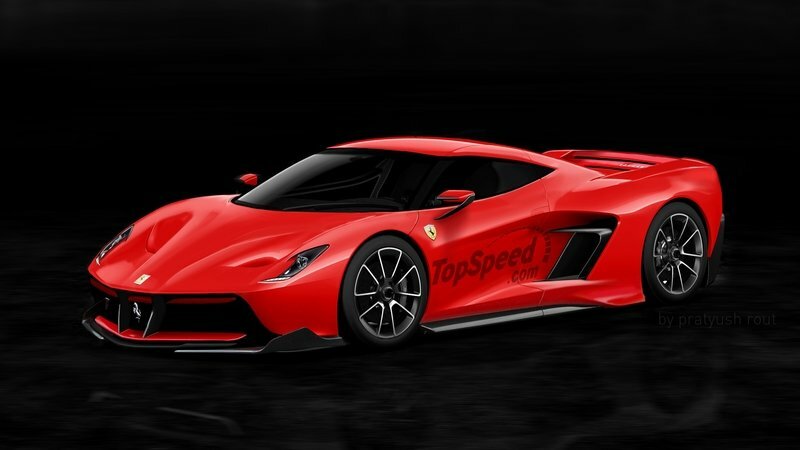 Outside of the name, however, Ferrari is bringing a heavy hitter to a supercar market that is now going hybrid. It is slated to compete against models like the wild McLaren P1 and the Porsche 918 Spyder – both of which have plenty of hybrid DNA in their genes. So, what separates the goofy-named LaFerrari from the pack of hybrid heavy hitters? Check out our full review below and you’ll find out that and more. 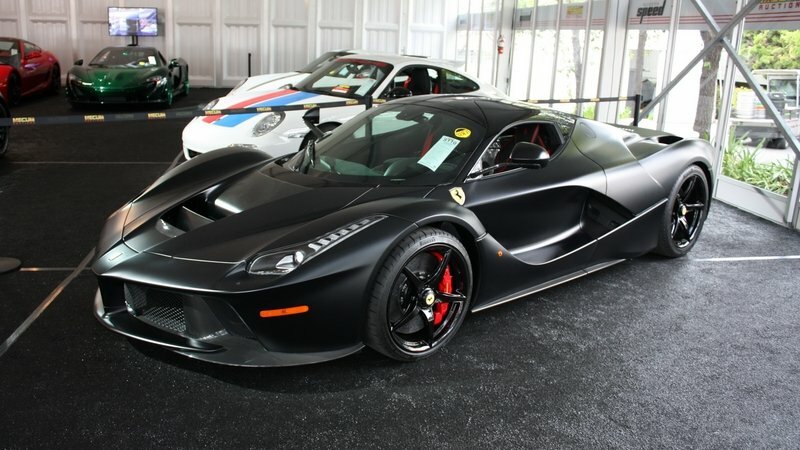 Updated 08/22/2016: Ferrari brought a satin black 2014 LaFerrari at the 2016 Mecum Auctions sale during Monterey Car Week, where it was auction for the record price of $4.7 million. Check the picture gallery for a new set of images taken during the auction. Hit the jump to rear more about the new LaFerrari.